Over the past ten years, Russia has displayed an impressive degree of political-military integration in pursuit of its state objectives. Far from being improvised or opportunistic, the expansion of Russia’s military power is a coherent and purpose-driven activity designed to challenge Western dominance of an international order that Russia’s state leadership perceives as harmful to its interests and intrinsically vulnerable. Despite Russia’s annexation of Crimea and its intervention in eastern Ukraine, its aim is to alter political rather than physical borders in Europe. Nevertheless, Russia’s political and military establishments believe that a potential for war is inherent in the conflict of interests and “systems” that now exists. It will continue to use military and non-military instruments to force material changes upon the West as long as it believes that it has the capacity to do so. Deeper engagement will not persuade Russia to perceive the West as it wishes to be perceived. If the West is to meet this challenge, it must accept the existential nature of it. Deeper engagement will not persuade Russia to perceive the West as it wishes to be perceived. “Grand bargains” in current conditions will not make Europe safer. In the absence of a serious military strategy, Russia’s economic difficulties will not solve our problems for us. Deterrence only becomes a strategy if it addresses the threat to be deterred. Russia’s wartime aims will be to shatter the cohesion of NATO, destroy its forces in the immediate theater of operations, and force it to concede defeat at the earliest possible moment. 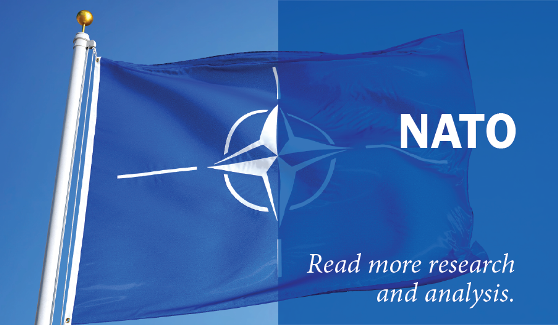 The aim of NATO’s deterrence must be to convince Moscow that even a short war will have harrowing costs and lead to the long war that Russia fears and is bound to lose. To do this, the priority for Western military establishments should not be to outmatch the Russians where they are naturally strong, but to invest in the antidotes to these strengths. This is not beyond us. Time does not naturally favor Russia. If it is used with resolve and wisdom, Russia will be obliged to conclude, as it did under Gorbachev, that the use of force to resolve political problems is no longer feasible.